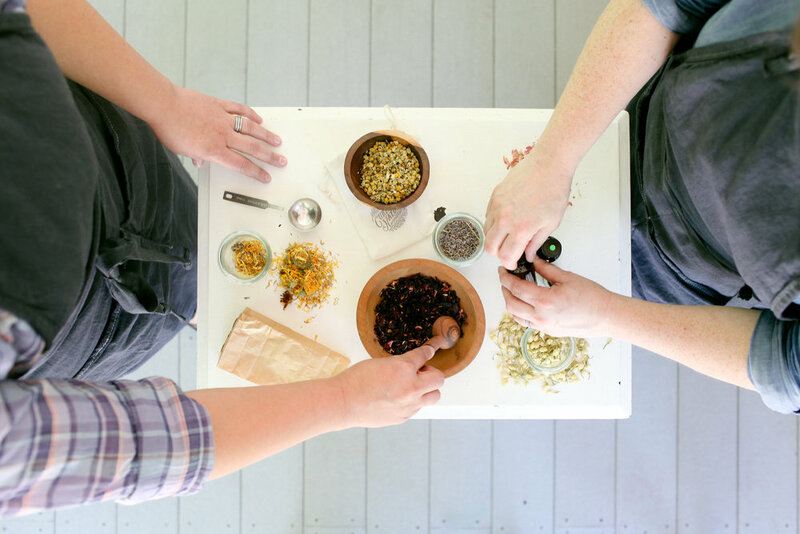 Curious Nature Apothecary products are mindfully crafted from scratch. Each carefully selected ingredient comes to us in the simplest, least processed condition we can find, to give us maximum control over our end product. We purchase our raw ingredients from trusted sources, giving preference to local suppliers when available. We use Certified Organic ingredients when possible and practical. When not Certified Organic, our ingredients are generally from unsprayed (pesticide free) or wildcrafted sources, or no Organic Certification currently exists, as with salt. A large part of our approach to wellness and to life involves cooperation with our natural environment. We hope to take from nature in ways that are ethical and sustainable and to minimize any negative impact on the environment by choosing responsible, reusable and/or recyclable packaging and shipping materials. With the exception of sample sizes, our product packaging is primarily glass, metal, and compostable paperboard. Our shipping materials are made from post consumer recycled materials and/or are recyclable.